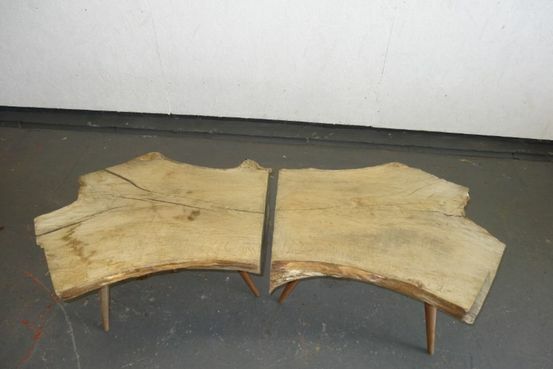 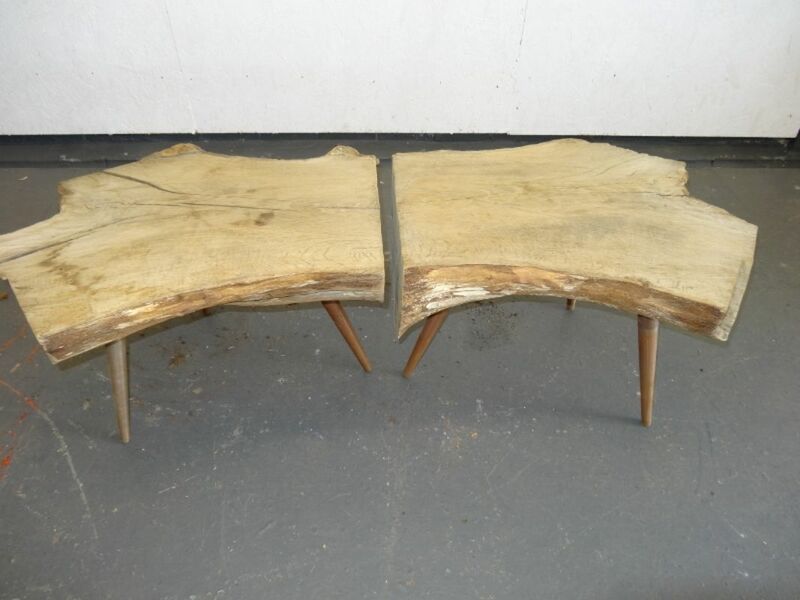 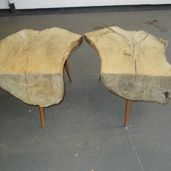 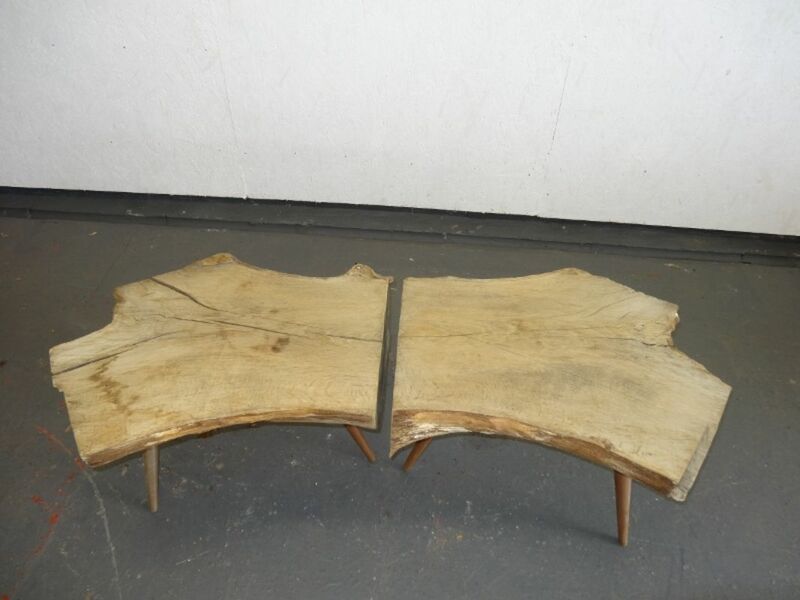 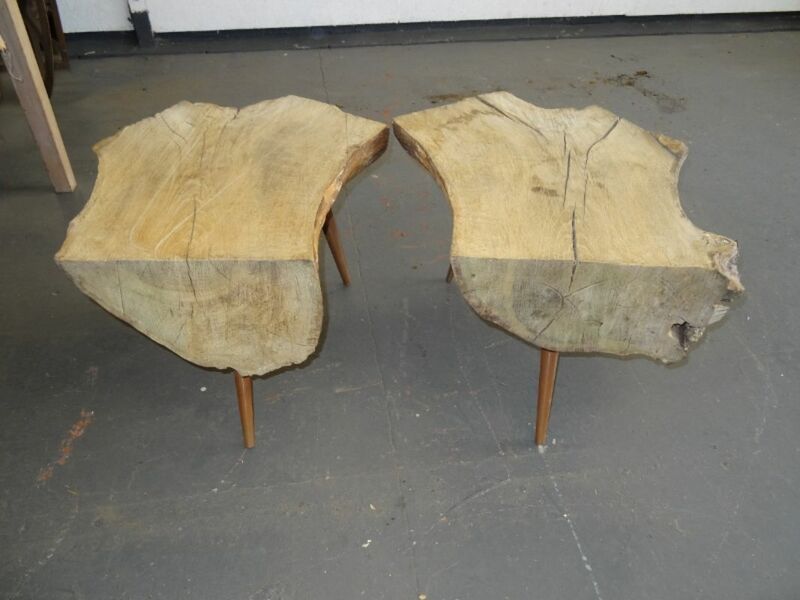 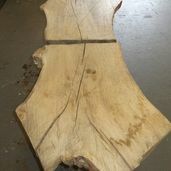 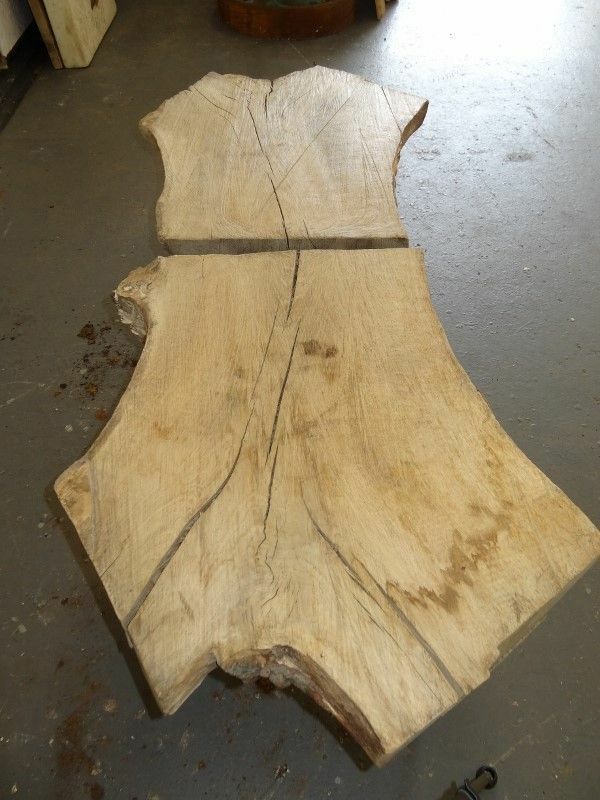 Oak crotch log stools/coffee tables made as a pair from 1 Oak crotch. 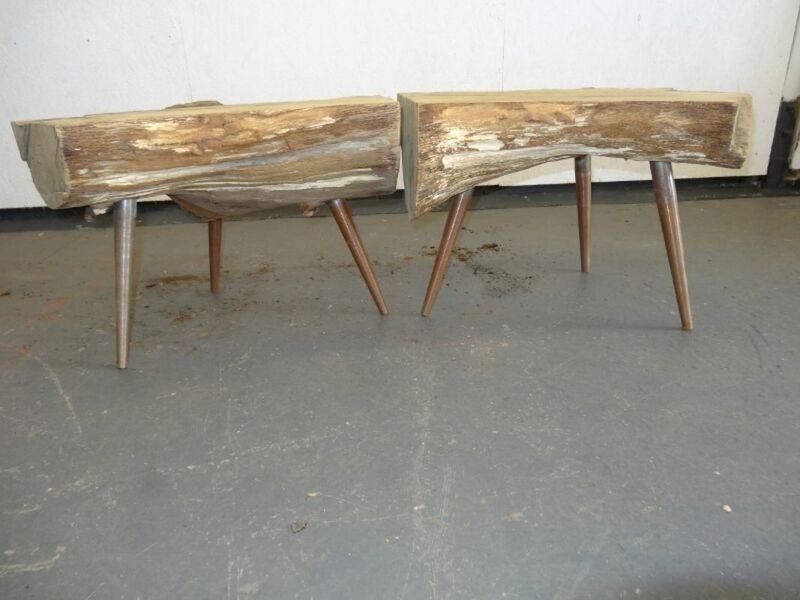 Each is sat on 3 steel tapered legs. 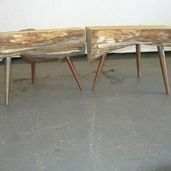 Each one is 29” (74cm) by 25” (64cm) and 19 ½” (50cm) tall. 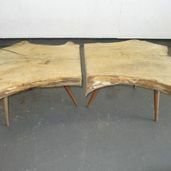 these are to be sold as a pair.